Chinese Taipei fielded the players to note on the opening day of play, Thursday 1st June, at the 2017 Slovak Junior Open in Senec. 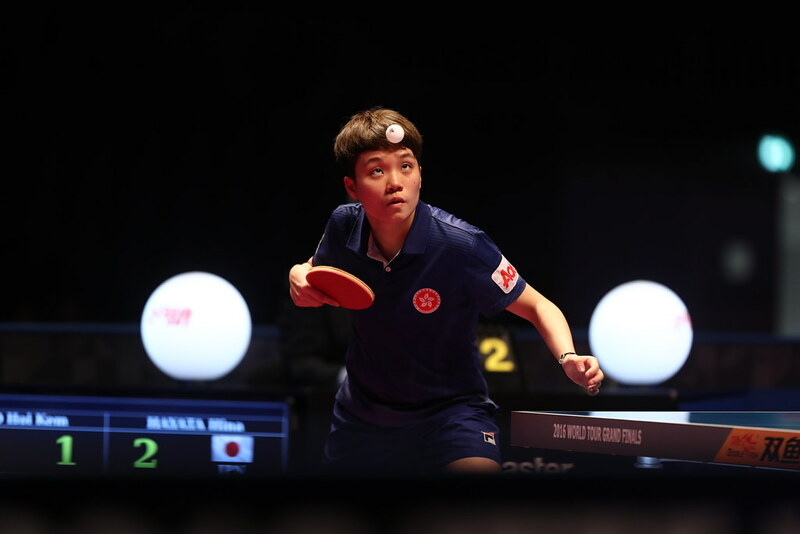 Represented by Su Pei-Ling, Chen Ying-Chen and Chen Ting-Ting; Chinese Taipei ‘A’ duly finished in first place in their group as the top seeded position advised. However, for the Chinese Taipei ‘B’ combination of Chang Ju-Chia, Yu Hsui-Ting and Chen Tzu-Ting, pole position was not necessarily to be anticipated. They caused an upset by recording a three-one win against the Poland ‘A’ Team trio of Julia Slazak, Katarzyna Wegrzyn and Anna Wegrzyn the second seeds. Architect of the victory was Chang Ju-Chia; she beat both Julia Slazak (13-15, 7-11, 11-7, 11-9, 12-10) and Katarzyna Wegrzyn (11-7, 11-7, 6-11, 11-8); the one further success for Chinese Taipei was recorded by Chen Tzu-Ting against Anna Wegrzyn (11-2, 9-11, 12-10, 11-7) in the third match of the fixture. The one win for Poland ‘A’ came in the second match of the engagement when Katarzyna Wegrzyn beat Yu Hsiu-Ting (11-4, 11-5, 5-11, 5-11, 11-9). Defeat against the odds for Poland ‘A’, who eventually finished in second place in their group; for Poland ‘B’ represented by Julia Szymczak, Agata Zakrewsks and Gabriela Dyszkiewicz, it was the opposite scenario. They beat the Croatia ‘A’ Team combination of Andrea Pavlovic, Leona Santek and Karla Franovic, the fifth seeds, by three matches to two, before recording a three-two win in opposition to the trio formed by Norway’s Rebekka Carlsen and Sara Hoegen who joined forces with Germany’s Sarah Mantz. First place in the group for Poland ‘B’, for Croatia ‘A’ it was to be third place; they suffered a three-two defeat at the hands of Rebekka Carlsen, Sara Hoegen and Sarah Mantz. Two surprise first places; in the remaining groups, in addition to Chinese Taipei ‘A’, it was top spot as anticipated. Germany, the second seeds, represented by Franziska Schreiner, Lotta Rose and Laura Tiefenbrunner, topped their group as did the Hungary ‘A’ Team represented by Leonie Hartbrich, Orsolya Feher and Fanni Harasztovich. Teams finishing in first and second places in each of the five groups advanced to the main draw; the Girls’ Team event concludes on Friday 2nd June.